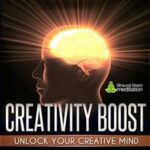 Abundance Meditation is designed to clear mental blockages that prevent you from attracting success and positivity into your life. The composition blends calming textures with Eastern musical influences to create a blissful listening experience. Underneath the music we have layered 22 silent (subliminal) affirmations, each centered around creating a positive, abundant mindset. 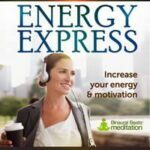 Regular listening will help you overcome self-limiting thoughts and behaviors that prevent you from achieving your goals and manifesting prosperity in your life. Studies show that subliminal messaging, be it images or words, do leave their mark on the brain and affect the subconscious. In two particular studies conducted by Dr. Alan E. Kazdin, subjects were exposed to subliminal audio in the form of letters and numbers. Participants consistently guessed the stimuli correctly and the results showed that perception without awareness is entirely possible, and that subliminal audio does reach the subconscious mind. Indeed, from fizzy drink adverts to shops using subliminal audio to convince people not to steal, and a radio station broadcasting energizing music in the morning and relaxing music in the evening to entice its listeners, it is no coincidence that subliminal advertising has been banned in most of the Western world and considered “contrary to the public interest and intended to be deceptive”. 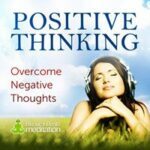 The positive news is that this medium of influencing can be used for good, as you'll discover when listening to our Abundance Meditation, which contains positive subliminal affirmations. These affirmations are inaudible (can't be heard) messages that play underneath the music. The reason you can't hear the messages is that the voice has been modulated above the limit of human hearing. This means the messages will reach your subconscious without your awareness. 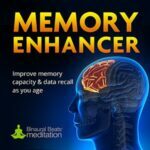 You see, in everyday life, our conscious way of learning is through repetition: we experience something over and over again and then practice it through action. The learned information is then stored in the mind and accessed when we require it. This is how we learn to walk, talk, ride a bike, learn math, and also how we develop beliefs about our ability and confidence. Learning positive information is great, but the key problem we encounter is undoing negative information. How can we unlearn the things holding us back in life that prevent us fulfilling our potential? The answer is to re-learn; to reinforce new beliefs and embed them in the subconscious mind. Subliminal learning bypasses the conscious experience of learning and practicing and sends information directly to your subconscious mind. When your subconscious mind repeatedly hears the same message, you will experience a shift in your conscious behavior. For example: if your subconscious mind is exposed to a repetitive positive message regarding how capable you are and how much potential you have to succeed in your goals, you are likely to see a positive increase in self-belief and in turn an increase in your level of achievement. 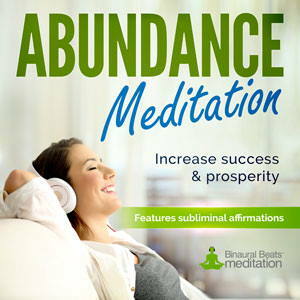 Our Abundance Meditation uses positive affirmations to do just that; to create a shift towards increased success and prosperity in your life. By repeating these affirmations to your subconscious mind on a regular basis, the beliefs will become stored in your mind and begin to positively change your behaviors. In addition to the positive affirmations, we use Theta binaural beats at 7.5 Hertz and 5.5 Hertz, respectively. The first frequency complements the affirmations by promoting inter-awareness of self and purpose, and helps those experiencing confused thinking to feel at ease and find solutions to troublesome problems. The second frequency complements the affirmations by providing inner guidance that helps you move beyond “knowledge” to “knowing”. The instrumentation of the music is tuned to 417 Hertz, a frequency found on the ancient Solfeggio scale. 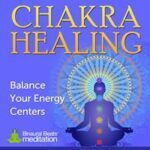 This frequency is said to assist with facilitating change through the cleansing of traumatic experiences and destructive influences of past events. It is said that the 417 Hz frequency puts you in touch with an inexhaustible source of energy that enables you to change your life. 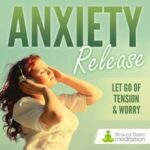 Combining binaural beats, subliminal affirmations and music tuning in this way has enabled us to create a powerful personal development recording that will help you attract success and prosperity into your life. By using headphones: You can listen normally as you would to music, as a seated meditation, or by lying down and listening; whichever you prefer. Note that the theta frequencies we use in the track will relax you, so do not listen while driving or operating machinery. It is best to be sitting or lying down. Without headphones and through speakers. You can do this while you work, read or engage in any other activity whereby you are in earshot of the music. You can also listen while you sleep. Please note that listening in this way will not have the added relaxing effect of the Theta sound waves (requires headphones for full effectiveness), but you will get the full subconscious entrainment of the subliminal affirmations. 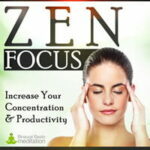 With or without headphones, you can listen to the silent affirmations track. For this, we have provided you with a 2-hour version of the silent audio track, which contains just the subliminal affirmations (no music or binaural beats frequencies). Of course, you won't actually hear anything when listening to this track, but the subconscious entrainment will still be useful and effective when you don't want music on, or have other people in earshot that you don't want to distract. It also means you can listen on repeat, without any sound disturbance, which is ideal when you are sleeping. 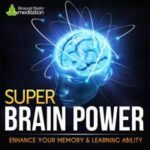 Whether your goal is increased success at work or in business, better results from your studies, or better decision making in your personal life, download the Abundance Meditation and entrain your brain to a mindset that will help you achieve greater success and prosperity.